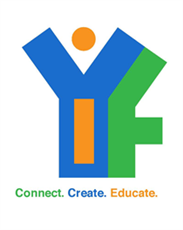 FYI’s Mission: Empowering the voice and uniting the youth of Fargo through actions and teamwork. FYI’s Vision: Creating an atmosphere where youth have a positive sustainable impact on the community of Fargo. To serve as a liaison between the City of Fargo and the youth of Fargo. To investigate needs, problems and issues affecting the youth of Fargo. Research issues and make policy or project recommendations to the Fargo City Commission. View FYI's most recent presentation to the Fargo City Commission.